Looking for Enclosures? Get a quote fast. Your devices are only as good as their protection. So you have your circuit breaker, your panelboard, your switchgear… Now it’s time to protect them all. Enclosures are designed to withstand environments of all types in order to protect your distribution devices from damage and protect operators during maintenance. Enclosures can be built of various materials including steel, stainless steel, fiberglass, PVC, polycarbonate and more. 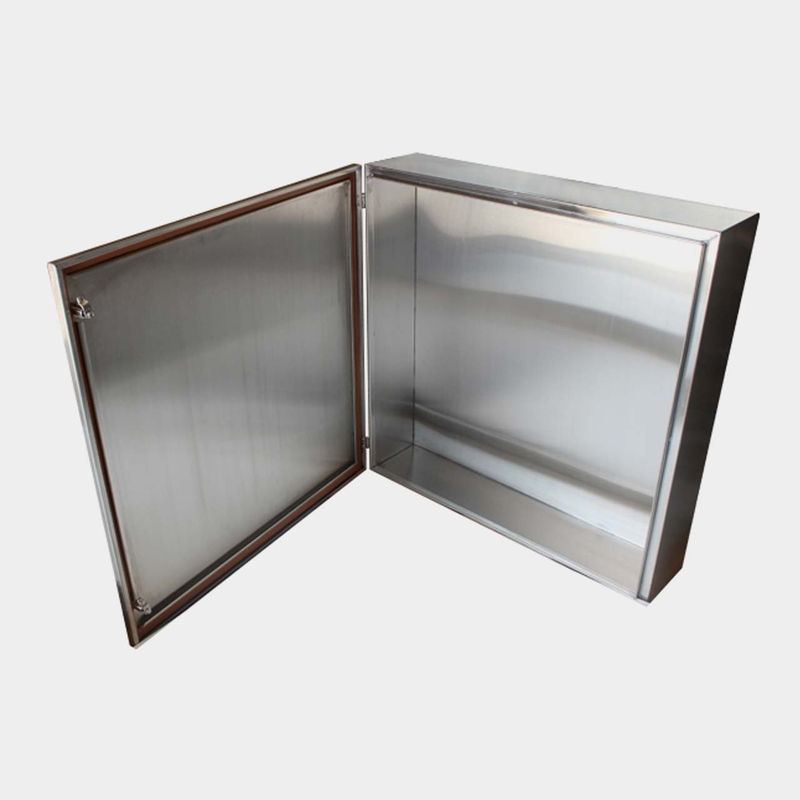 If you’re installing your enclosure outdoors, a stainless enclosure or metal enclosure would be best, while fiberglass electrical enclosures and polycarbonate enclosures are best for indoor use. What you need to know about NEMA ratings. NEMA is a regulatory body that outlines the standards for a different types of enclosures. NEMA ratings for enclosures are ranked from NEMA 1 to NEMA 13. Each NEMA rating indicates what kind of conditions the enclosure itself is able to withstand. 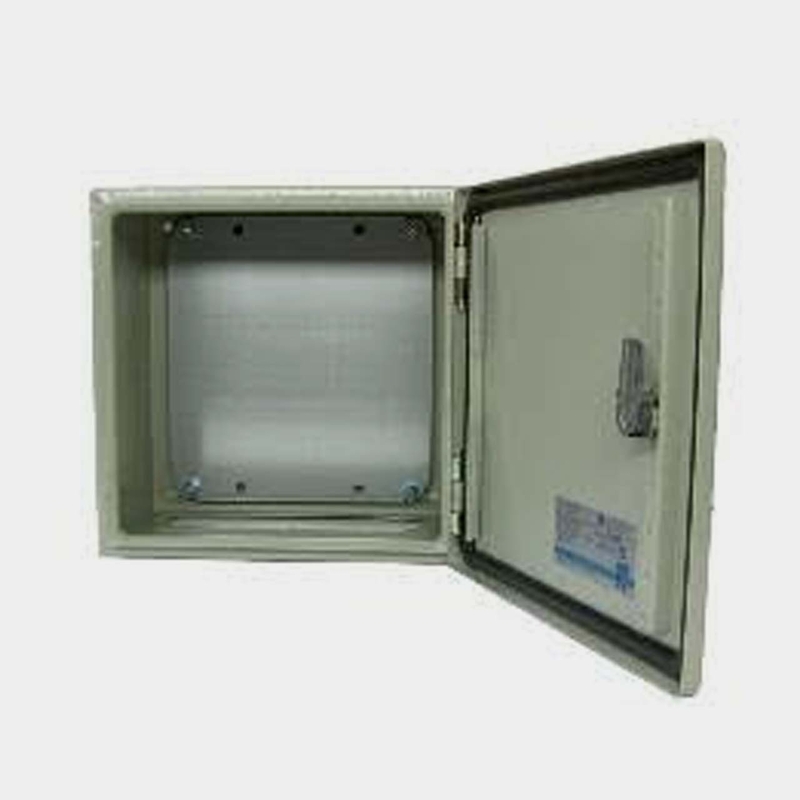 For example, NEMA 1 electrical enclosures and type 2 enclosures are general duty indoor enclosures that protect against dirt and some moisture (type 2), while NEMA 3 and NEMA 3R electrical enclosures are used outdoors to protect against falling rain, sleet, snow, and ice. NEMA 4X electrical enclosures are used outdoors to protect against rain, sleet, snow, and ice, as well as splashing and water that is directed at it. Other NEMA enclosures can protect against corrosive materials, fibers, solid foreign objects and more. All NEMA enclosures that are rated for outdoor use can be used indoors as well, but not vice versa. Close the deal on a new enclosure at Bay Power. Indoor installation or outdoor installation, light duty or heavy duty, Bay Power has got all types of enclosures to meet all your demands and requirements. No matter what NEMA rating you require, from NEMA 1 all the way to NEMA 13, we’ve got them all. Take your pick from top quality products from the major enclosure manufacturers. We carry stainless steel enclosures, metal non metallic enclosures, panel enclosures, circuit breaker enclosures, modular enclosures, free-standing or wall-mounted enclosures and even custom enclosures - all with a one-year replacement warranty and quick shipping. So take your pick and shop with confidence at Bay Power. While not corrosion resistant, Steel enclosures are effective in protecting your devices from dust and water. A solid indoor enclosure, steel enclosures are used in the commercial sector for light or medium duty protection. Similar to modular enclosures, free standing enclosures do not rely on a wall for support and can be installed wherever there is available floor space. Free standing enclosures are commonly used for heavy industrial applications from food processing to data processing, either indoors or outdoors. Commonly used as a space-saving solution in an indoor setting, modular enclosures can be moved around and to better optimize the space. Modular enclosures come with many mounting provision options to suit your space. They are commonly found in the telecommunications industry. Wall mount enclosures are used when the floor space isn’t available. They help maximize your floor space while giving you easy access to equipment controls and other devices. Applications that rely on wall mount enclosures include construction and any sector that requires machine control. Panel enclosures are available with single doors, double doors, lift off covers and hinge covers. 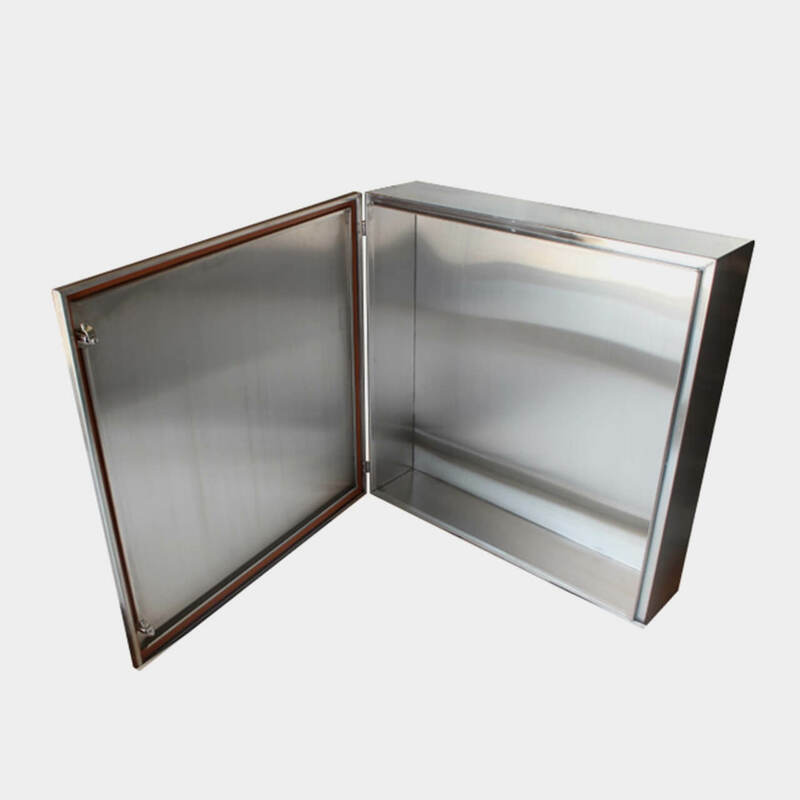 Used to protect your panel either indoors or outdoors, panel enclosures can be constructed of stainless steel, steel or other non metallic materials. When a standard sized enclosure just won’t cut it, a custom enclosure is a great option. A custom enclosure allows you to choose door configurations, mounting provisions, a choice of windows or vents, padlock options, drip shields, door stays, and more. Used to protect your circuit protectors, circuit breaker enclosures are available in all sizes. 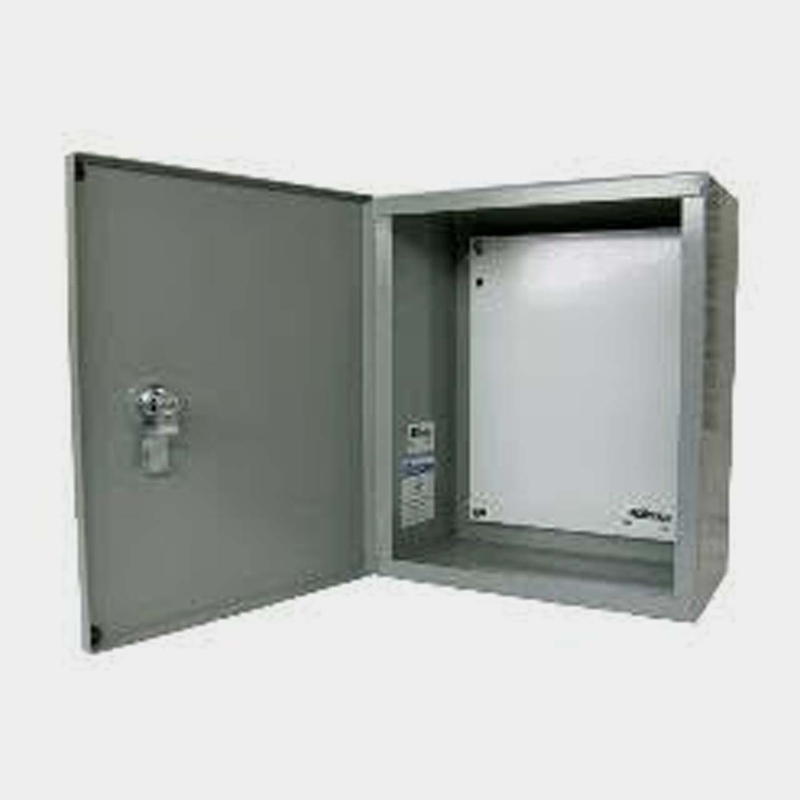 Most circuit breaker enclosures are constructed of stainless steel. They also protect operators and maintenance workers from accidentally touching energized components. Have any old or unused Enclosures lying around? Don’t get rid of them just yet. While we stock a wide range of quality electrical products and solutions, both new and reconditioned, we also buy back your unwanted equipment. So, before deciding what to do with your old Enclosures and components, have one of our expert technicians take a look to see if we can save a few parts, save the environment, and save you some cash. Great service shouldn’t end after the purchase. We pride ourselves on the relationships we build with our customer-first mentality and the quality of our Enclosures and components. That’s why we offer a 1-year replacement warranty on all of our electrical products and solutions from the top manufacturers. Because when you buy with Bay Power, you buy with confidence. We are proud to stock a variety of competitively priced, new and reconditioned components from the leading manufacturers of Enclosures. Thanks to our extensive inventory of Enclosures and components, our resourceful and expertly trained staff will always be able to get the products that you need. Through our extensive network of suppliers, we are able to carry and acquire a huge variety of electrical products and solutions, so chances are if you need it, we can get it. Bay Power’s priority is providing you with reliable, high quality electrical hardware. That’s why our mission is to make sure our reconditioned electrical products and solutions function as perfectly as the day they were built. Because while the quality is high, the cost of Enclosures shouldn’t be. Our selection of new surplus Enclosures may not arrive brand new in a box, but they function just as well, and have never had electricity run through them. All of the quality, none of the packaging, always with our 1-year replacement warranty.